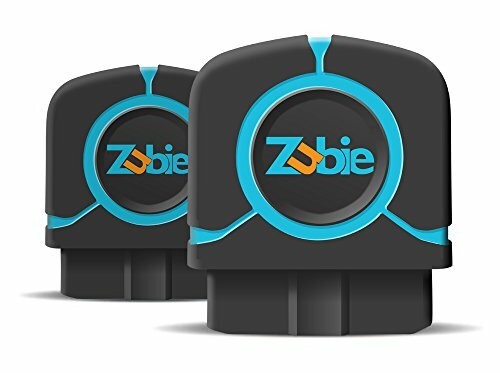 Zubie makes driving safer and worry-free - for the whole family. Simply plug in the Zubie Key to your car's diagnostic port, download the app and you're connected to your car! Zubie's fast and reliable 3G service means your car is monitored 24/7, even when you are not in it. With the Zubie App and real-time alerts, parents gain peace of mind by knowing exactly where their household vehicles are located, how the vehicle is being driven, and potential vehicle health problems. The Zubie Teen App helps new drivers gain confidence on the road with coaching tips and driving summaries. For today's connected family, Zubie even links up with popular online services likes IFTTT, Amazon Echo and Expensify. One year of monitoring service is included. If you have any questions about this product by Zubie, contact us by completing and submitting the form below. If you are looking for a specif part number, please include it with your message.